"Bring it on, Shocker!" 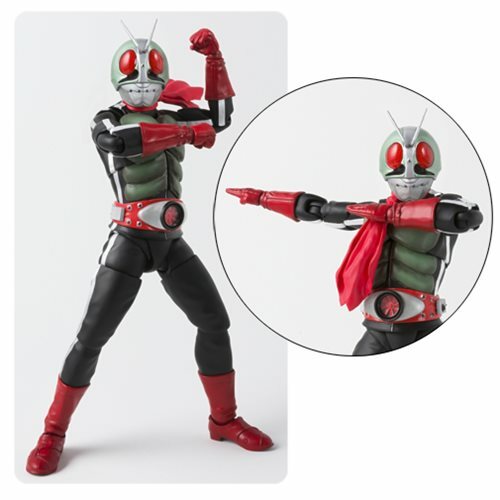 Following Kamen Rider Neo 1 comes the Kamen Rider Masked Rider Neo 2 SH Figuarts Action Figure, with the Shinkocchou Seihou system that brings you the most realistically posable action figures ever made! The figure Includes 4x pairs of optional hands, 1x pair of hand gripping parts, a scarf, and optional antenna. Measures about 5 7/10-inches tall. Ages 15 and up.